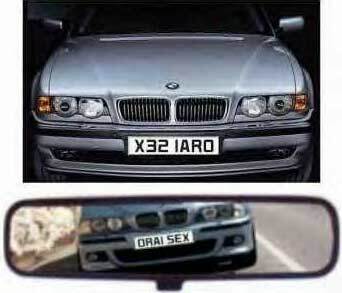 I was looking for ideas for a new number plate for my car, think it’s time for the personal touch and stumbled upon this car number plate image which is quite amusing. 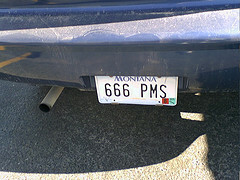 I then went looking for more funny car number plate pictures and found a scary one for women. Even saw a car for sale locally (live in Skegness) with SEO in the number plate. I was really tempted to buy the old car just for the SEO number plate, being an SEO consultant (Search Engine Optimization) would have been cool. Though just searched online and can buy SEO number plates for under £200 from the DVLA which is much cheaper than buying a second hand car I don’t need! If you have a funny number plate or would like a specific car plate why not post it as a comment below. I’d really like the number plate SEO DAVE or SEO GOLD. SEO 101 would be nice as well. Came across this very old post whilst searching for a plate – I recall seeing the plate fitted then on a Ford? 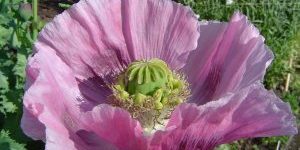 being shown on TV in early 80’s & think it was on Esther Rantzen show That’s life. If not see any footage then try contacting BBC archives. According to some internet sites, the plate it would seem still survives fitted to a Range Rover. Hi David, can’t get more fun than this.. you could have a totally unique plate that really does turn heads and opens doors!! 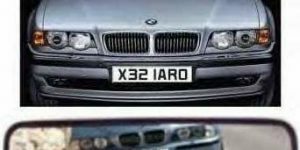 There are certainly a lot of private number plates available online, so, with a good research you will be able to find the best number plate that will suit your personality.